The LaPresse newspaper recently published a series of 6 articles on the increasing use of steroids by our youth. Here is one of those 6 stories (translated from French). Steroids killed his son.Â Donald Hooton is convinced. 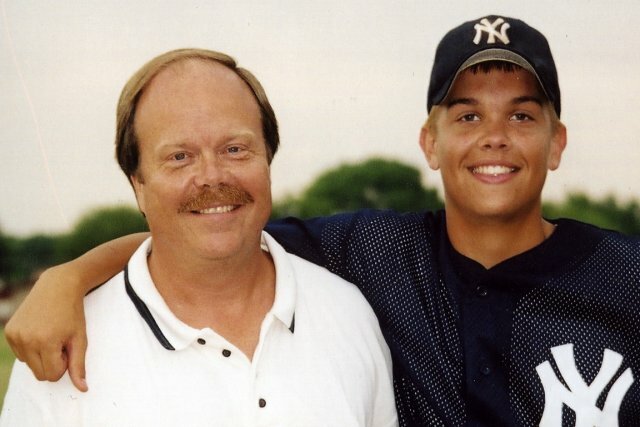 There are nearly 10 years, Texas father found his son Taylor, 16, hanged himself in his house in a wealthy suburb of Dallas.Â For Mr. Hooton, this day also marks the beginning of a fierce crusade against the use of steroids. Nothing destined father of three children to be the thorn in consumer steroids. The only thing that came a little out of the ordinary, in Hooton was their consuming passion for baseball, inscribed in the family DNA. A cousin of the family played in the big leagues.Â The eldest son of Mr. Hooton was close to him, and Taylor wanted to follow this path.” He wanted to be like his cousin and brother,” said Mr Hooton. The young pitcher, a fellow of 1.90 m, attended high school in Plano and trained as a machine.Â His life revolved around the sport.Until the day he was found dead. For the Hootons, the shock was brutal.Â He not only took cash the suicide of Taylor, but also learn that consuming steroids for about six months. However, team officials and school Taylor presented as an unfortunate isolated incident.Â Denial frustrating for Donald Hooton, who has therefore decided to open the eyes of America on this great taboo. The Hootons, worried, decided to bring Taylor to the doctor.Â The latter saw nothing and did not consider it necessary to do a urine test, simply ask the boy if he was taking drugs. He hanged himself a few weeks later. Mr. Hooton is convinced that his son’s suicide is linked to steroids. It is certain that our profound ignorance of the subject has played a role.Â “It created a foundation in the name of my son in 2004 and even today there is no medical protocol for what to do,” says Mr. Hooton. He believes it is time to train professionals in this reality more and more widespread.Â “Who is watching our youth today?Â The answer: anyone, “he slice. The foundation does this work to raise awareness among the medical community, coaches and parents.Â Mr. Hooton won prestigious support, including the Chief New York Yankees and former batting star of the St. Louis Cardinals Mark McGwire, who admitted having used steroids. Significant support, especially at a time when steroids are not only used for sports, but for the simple worship of the perfect body. Never use steroids!!!!!!!!!!!!!!!!!! ACCIDENTS HAPPEN GET RIGHT BESIDE.